Brexit pessimism at animal medications business Dechra Pharmaceuticals caused investors to take flight yesterday. The company revealed in its full-year results that it was preparing for a hard Brexit and, even though the impact of this on its finances would be ‘immaterial’, its shares still plummeted. The main risks of leaving would centre around having to get its products approved and tested by an EU regulator, Dechra said. So it has decided to open an EU-based lab for testing, and create a unit to deal with product registrations. This whole process would cost a maximum of £2million. To put that sum into perspective, Dechra pulled in operating profit of £99.2million for the year ending in June – up 24per cent on the previous 12 months. Revenue also soared by 13.9per cent to £407.1million. Even so, Dechra’s shares ended yesterday down 21.4per cent, or 668p, at 2452p. But he added that the shares had been on a ‘gravity-defying run’, and any signs of weakness may cause investors to pull back. Before the fall, the shares were up 60.4per cent over the past year. 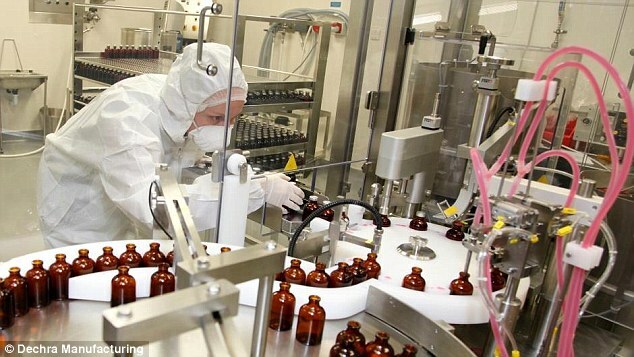 There were other clouds forming on the horizon for Dechra, as it noted more of its distributors are now focusing on selling and marketing their own products. Over on the FTSE 100, investors were keen to take advantage of a weak pound, which was levelling around $1.29 yesterday evening. Sterling slipped over the weekend after the EU’s Brexit negotiator Michel Barnier said he was ‘strongly’ opposed to parts of Theresa May’s trade proposals. The blue-chip index climbed 1per cent, or 72.18 points, to 7504.6 points as only seven firms experienced share price falls. 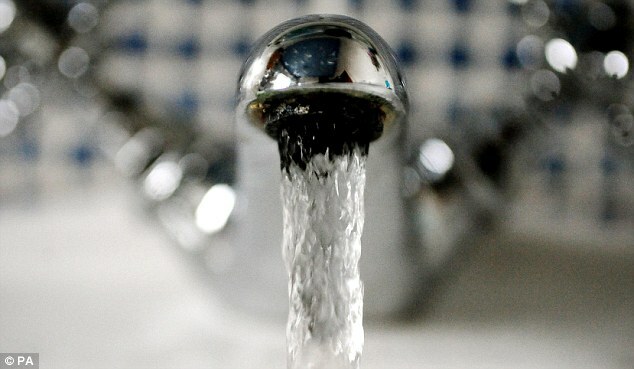 The biggest slides were at water companies United Utilities and Severn Trent, as investors digested their plans to cut bills for customers. Window and door company Safestyle UK announced it had cracked its competitor Niamac Developments, settling a long-running legal case. Niamac had been trading under the name of Safeglaze UK, causing Safestyle to accuse it of infringing its trademark. Niamac agreed to ditch the name and rebrand, promising not to mislead customers into thinking it was related to Safestyle. It did not reveal any financial elements of the deal. 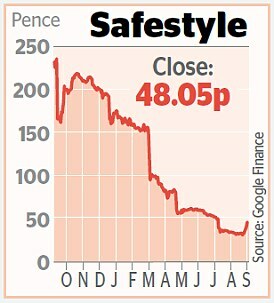 Shares in Safestyle shot up 20.1per cent, or 8.05p, to 48.05p. United Utilities ended the day down 2per cent, or 14.6p, at 727p, while Severn Trent closed 1.5per cent lower, or 30p, at 1971p. As appetite for water firms dampened, oil and gas company Frontera Resources rocketed on London’s junior market. Its shares shot up 80.9per cent, or 0.2p, to 0.4p as it revealed it had signed agreements with two major industry players. Investors got excited as the company said it was discussing a deal with the two heavyweight competitors regarding help in managing wells in Georgia. Both parties had attended extended site surveys and management meetings, Frontera added. But shares were tarnished at precious metals hunter Greatland Gold, even after it unveiled ‘very encouraging’ results from its Wishbone, Carnegie and Empress mining sites in Australia. The problem came for investors as it said it would pay DDH1, its drilling provider, in shares as well as money for its latest drilling project in the Havieron gold site. Media company Future, which publishes specialist titles such as Practical Caravan and Official Playstation Magazine, edged up 5.3per cent, or 22.5p, to 447p.